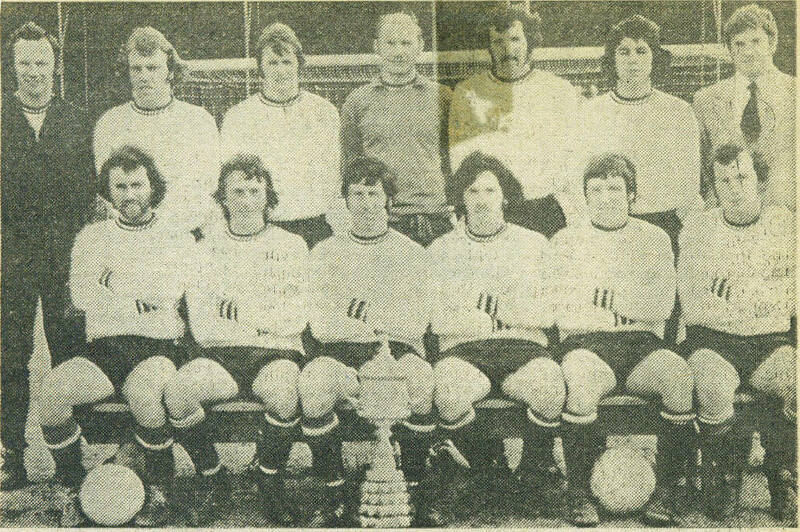 1971-72 Kent Senior Cup winners. Dover F.C. pictured before the 3-1 win over Dartford at Crabble in a Southern League Premier Division match on Saturday 15th.April, 1972. Two days earlier we had completed a 3-2 aggregate win over Dartford in the Kent Senior Cup final - for the second year in a row! Back row (left to right): John Carragher, Mick Beesley, Alan Fursdon, Ray Prior, Alan Dennis, Les Hall, Mike Harrison. Front row (left to right): Neil Johnson, Kenny Reynolds, Pat O'Connell, Tommy Horsfall, Keith Robinson, Dave Crush.